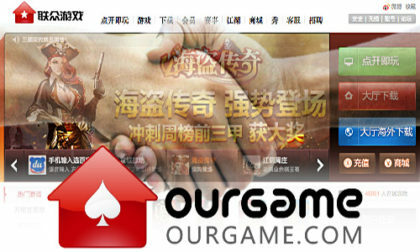 Ourgame International Holdings Limited (Ourgame) has confirmed that six employees of its inside-China poker and esports subsidiary, Beijing Lianzhong Interactive Network Co., Ltd. (Lianzhong), were among the 39 Chinese nationals arrested in an April 2018 sweep targeting underground real-money poker games facilitated through the use of Texas Hold’em smart-device apps formerly in widespread use in the country. Ourgame’s acknowledgment came on May 11 in the second of two related corporate statements issued in accordance with China’s securities-trading regulations. Ourgame, which is incorporated in the Cayman Islands, is actively traded on the Hong Kong Stock Exchange. Trading in Ourgame’s shares was then suspended for two full days, until the May 11 announcement, which offered the barest of details as mandated by disclosure requirements. In this follow-up, Ourgame acknowledged the existence of the media reports such as BNA’s, and then clarified that six individuals, rather than three, had been arrested. This second statement took care to declare that “these six persons are not directors of the company,” and that Ourgame or any of its related business entities had been subject to any formal regulatory action. However, the statement did not dispute the BNA assertion that at least three of the six employees arrested were prominent executives within Lianzhong’s poker and esports hierarchy. As we previously translated, those three were Lianzhong’s executive vice president, identified as “Qinyou”, the head of the “chess and card” division, “Xu”, and “Zhou”, the head of the VIP services department. The other three Lianzhong employees who were detained in April remain unidentified. Also omitted in Ourgame’s two statements: the exact date when the arrests occurred, and any mention of the pending ban on Texas Hold’em smart-device apps that powered the underground gambling. That ban goes into effect on June 1st, but its effects are already being felt across China. The primary reason behind the twin announcements was to comply with the Hong Kong Stock Exchange’s regulatory requirements. However, a day-by-day look at Ourgame’s stock performance since the beginning of April shows two separate stretches when Ourgame stock took a heavy hit. The latest of those plunges took place on May 11, following the reopening of trading in Ourgame stock. The company’s shares moved from 1.46 to 1.13 on that day, losing roughly a fourth of their value in the wake of the company’s acknowledgement of the arrests. 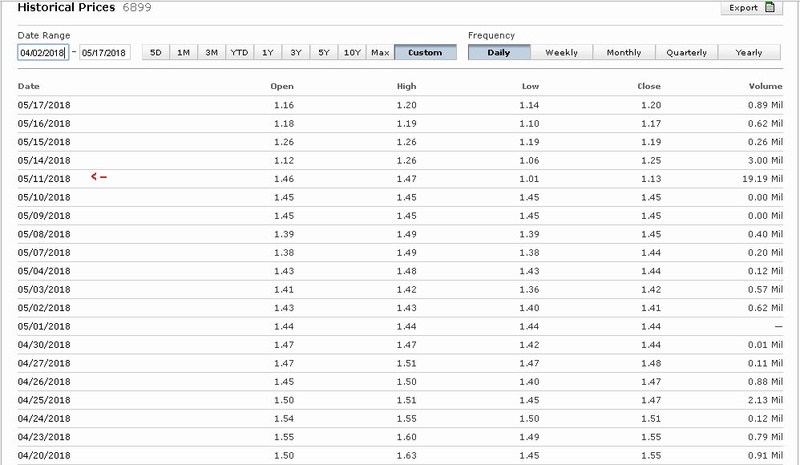 However, the unexplained drop on April 2 and 3, from 2.07 to 1.62 yuan, is also more than 20%. Adding to the mystery, there’s no public announcement from Ourgame during that period to explain or acknowledge the plunge. Note that the statement by China’s Ministry of Culture regarding the poker-app ban did not occur until around April 22, nearly three weeks after the unexplained drop in Ourgame shares. This raises the possibility that the raids in which the Ourgame employees were arrested occurred around April 1 or 2, thus triggering the early selloff, even though it went unacknowledged at the time. Should that be the case, and should prominent shareholders within Ourgame or its business partners be among those who dumped blocs or Ourgame stock, then there may yet be a later insider-trading story to emerge. Such an investigation by HKSE regulators would likely not be made public for some time, however.